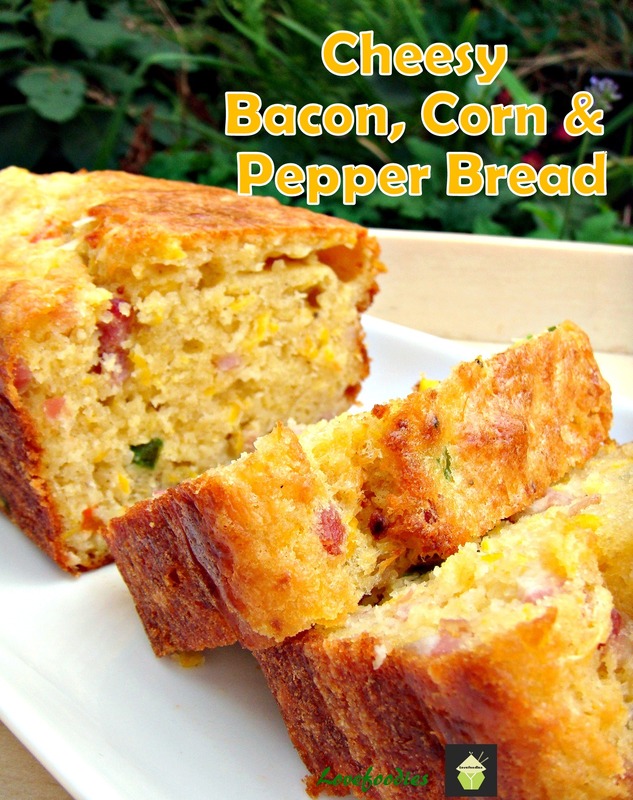 Cheesy Bacon, Corn & Pepper Bread Easy recipe and yep, VERY DELICIOUS! Serve warm or cold, tasty either way! See the recipe here: Cheesy Bacon, Corn & Pepper Bread – Lovefoodies. Categories: Breads & Pizzas etc, Main meals, Sides | Tags: bacon, baking, Bread, cheese, corn, loaf, pepper, side | Permalink. Bacon, Cheddar Zucchini Loaf. A wonderful light and fluffy bread (no yeast) with great flavours. Serve warm or cold, it’s delicious either way! great for brunches, lunch boxes, soups, and parties too! 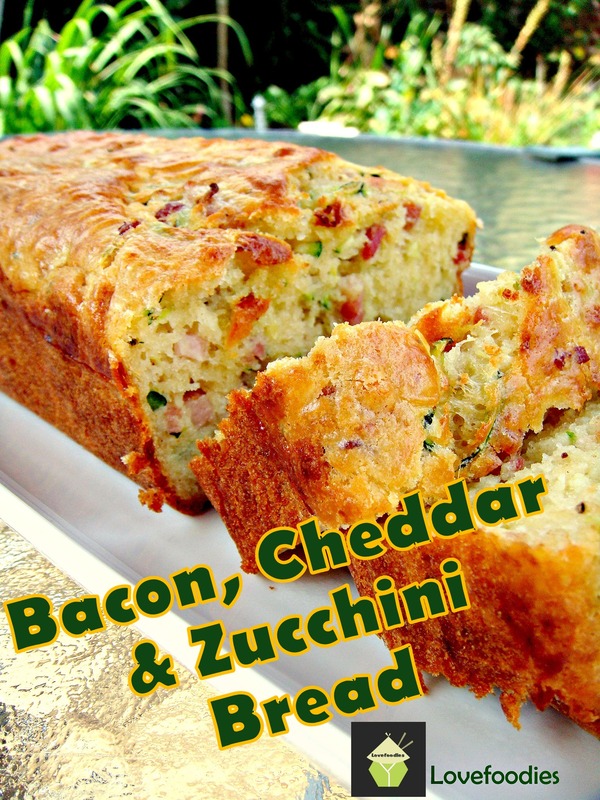 Bacon & Cheddar Zucchini Bread – Lovefoodies. Categories: Breads & Pizzas etc, Main meals, Sides | Tags: bacon, baking, Bread, cheddar, cheese, courgette, loaf, zucchini | Permalink. 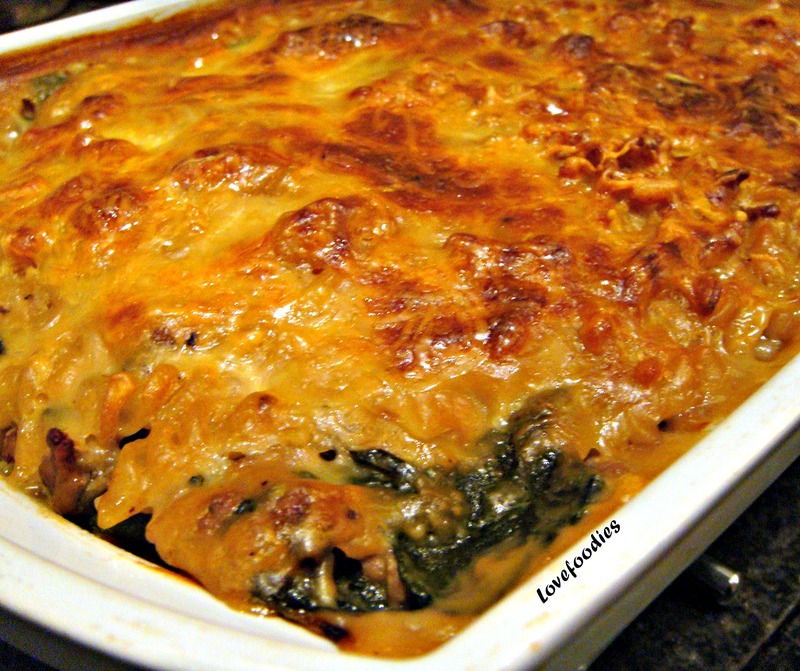 BEEF & SPINACH PASTA BAKE… Seriously good flavours and easy to make too! Categories: Main meals, recipes | Tags: bake, Beef, cheese, Cooking, how to make, ingredients, lovefoodies, pasta, recipes, spinach | Permalink. Potato Cheddar Bake. 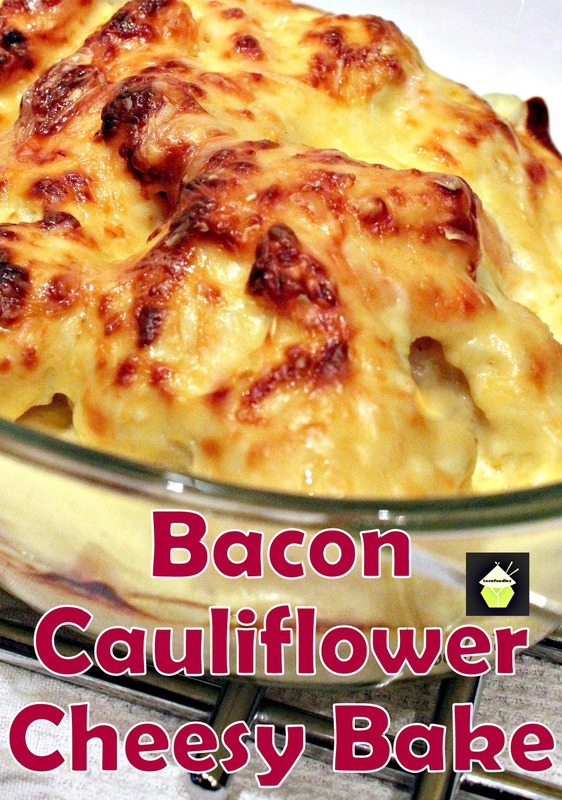 Now you could have this as a side dish PLUS….. oh yes, make up a jug of gravy or use the gravy from your pot roasts! Oh yummy! See the easy recipe here! 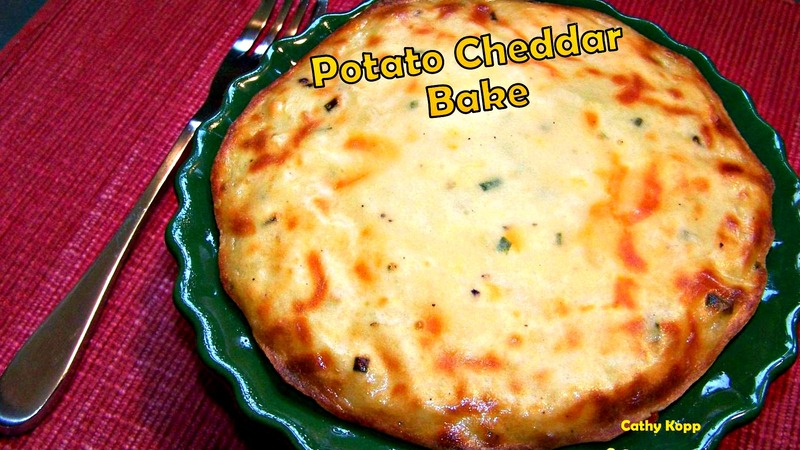 Categories: Sides | Tags: bake, cheddar, cheese, Cooking, easy, how to make, ingredients, lovefoodies, mashed potatoes, oven, potato, recipes, sides | Permalink.